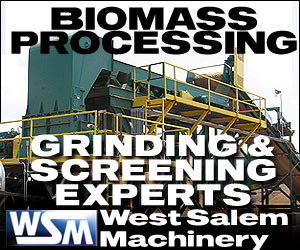 Developers of a 50 megawatt biomass power plant in Virginia's southern town of South Boston have approval to begin preliminary construction work on the $175 million project. The plant will use from 250,000 to 500,000 tons of forest slash per year. Louisiana power provider Cleco Corp. is making its first attempt to use biomass at one of its power plants by performing test burns this spring at its Madison Unit 3, near the town of Boyce, La. Initial test burns will be done using wood chips. 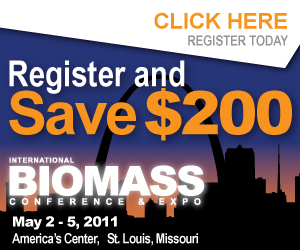 Several organizations have developed a Heating the Midwest with Renewable Biomass Summit, slated for Feb. 9 at the Black Bear Casino Resort in Carlton, Minn., following in the footsteps of the Heating the Northeast with Renewable Biomass effort. The New York Biomass Energy Alliance launched a campaign to increase the role of biomass energy in the state, calling on leaders to adjust its renewable energy policies. New York depends on out-of-state resources for 92 percent of its energy needs. With its sparse population in comparison with other states around it, Maine lacks the natural gas infrastructure employed in most areas. Largely because of that reality, the state has a serious and detrimental dependence on heating oil. Power utility Santee Cooper has agreed to purchase power generated from an anaerobic digestion facility under construction at Burrows Hall Farm, a hog farm in Williamsburg County, S.C. The plant will produce about 180 kilowatts of electricity. The American Council On Renewable Energy announced that founding President Michael Eckhart will retire Feb. 28 and join Citigroup in New York as managing director and head of environmental markets and sustainability. Eckhart co-founded ACORE in 2001. The Energy & Environmental Research Center at the University of North Dakota announced that the Biomass '11: Renewable Power, Fuels, and Chemicals Conference will be held July 26-27 at the Alerus Center in Grand Forks, N.D.